Became guitarist of the metalcore band Of Mice & Men alongside singer Austin Carlile in 2009. He played guitar for the band A Static Lullaby from 2008 to 2009. 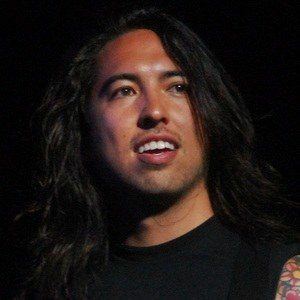 He joined Of Mice & Men about a month after their inception, while Carlile and his co-founder, bassist Jaxin Hall, were searching for the right guitarist. He was born and raised in California. He became bandmates with bassist Aaron Pauley when he joined Of Mice & Men in 2012.